Almost no hoofwall. 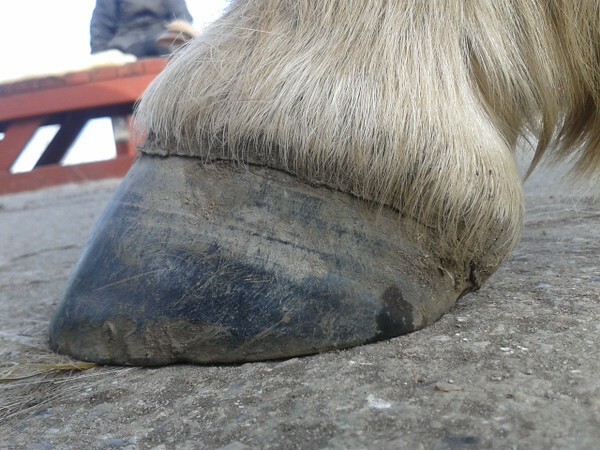 This horse had the shoes taken of recently, but there hadn´t had the chance to grow some hoofwall before that liberationsday. We have talked about boots, and also maybe shoeing the horse again, so that he can grow the hoofwall out, before letting him be barefooted. Some thrush, but not severe, i took this of.